“Vito Price isn't famous. He isn't the world's finest saxophonist. He isn't suffering from the pangs of public disapproval. He isn't a newly-discovered figure out of the past. To state it simply, he is a musician satisfied to play the way he wants to play. He's not attempting to set precedents or unify forms or set inspirational harmonic patterns. When I asked him about this LP, his first as a leader, he said, "I'm thrilled that I finally got the chance to record. I felt ready. This is my idea of happy, swinging music." Youth provides a different view of the world. On the one hand, this view is broad and all-encompassing brought on by a wide-eyed fascination with the world and everything in it. It all seems so fresh and exciting. On the other hand, it’s limited because there is little judgment based on experience or the ability to discern based on acquired knowledge. 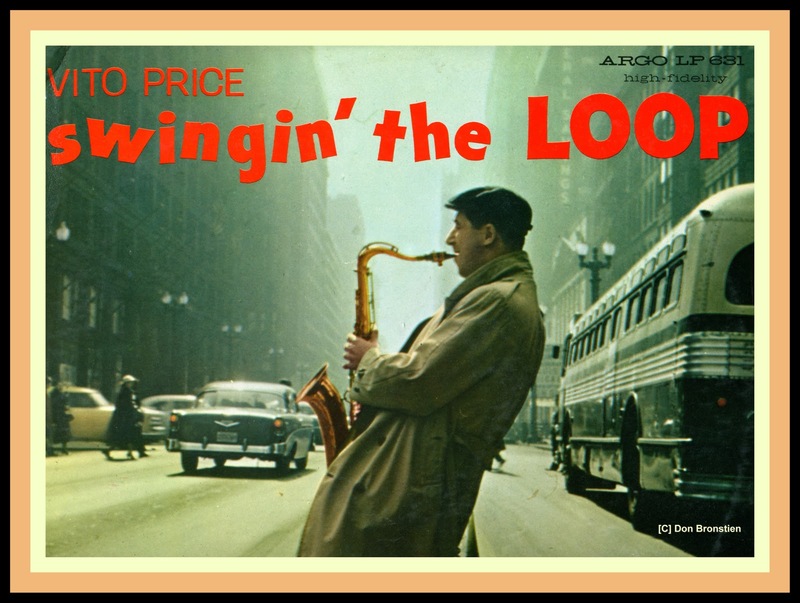 As a case in point, the first time I heard the music on tenor saxophonist Vito Price’s 1958 Swinging the Loop [Argo LP 631] album, it really thrilled me. I thought it swung like mad and I just couldn’t get enough of it. I played it all the time. Although I came to own the LP as a gift from a family friend, a DJ who was always passing on “Demo” copies that he couldn’t play on his AM radio show which featured more popular music, I had no idea who Vito Price was. Frankly, neither did any of the other musicians in my circle of friends at the time. Mention the name “Vito Price” and it was sure to be greeted with a number of blank stares. And yet, for a while, I knew more about the tenor sax playing of Vito than I did that of Coleman Hawkins and Lester Young; chronologically, knowledge of the music of these “Giants” of the tenor was to come later after my view of the Jazz world had become a bit more sophisticated and informed. Swinging the Loop is made up of 5 tracks that were recorded with a 9-piece group with Vito out front on tenor and 5 cuts using a combo: each set of 5 tunes comprised Side One and Side Two of the LP, respectively. 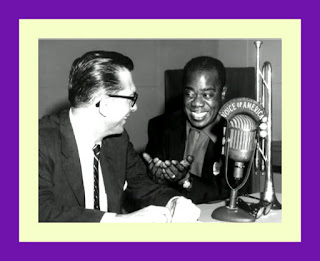 For some reason, I only played the side featuring the quintet made up of Vito along with Freddie Green on guitar, Lou Levy on piano, Max Bennett on bass and Gus Johnson on drums. Too lazy to get up from my practice pads [used in lieu of actual drums to keep the neighbors from rushing the front door] and turn the record over on the changer? As its title would imply, the album was recorded in Chicago, which was to later become an oft-visited city for me due to business and professional activities. One of the great things about most Jazz LPs from the 1950s was that they included informative liner notes. The honors for Vito’s album go to Don Gold who, at the time, was the Managing Editor of Down Beat Magazine. 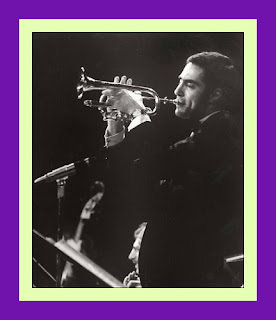 So that you, too, might become more familiar with Vito Price and the music on this album in the same manner as I did, the editorial staff at JazzProfiles has reprinted Don’s insert notes below. It also asked the crackerjack graphics team at CerraJazz LTD to develop the video at the conclusion of this feature using the Beautiful Love quintet track from the LP. Ironically, after playing the album on an almost daily basis after it was first issued, I had all but forgotten about it until one day, when a Jazz buddy picked me up for a luncheon get-together with mutual friends and the music from it was playing on his car CD changer! Much to my delight and surprise, Jordi Pujol had reissued Swinging the Loop on his Fresh Sound label [FSR CD #110]. I couldn’t believe my ears: after 50 years, it seemed that there were now three people familiar with the music of Vito Price! © -Don Gold, copyright protected; all rights reserved. “Liner note writers are a most peculiar sort. They behave erratically much of the time, searching for the attractive approach to the specific subject involved. This endless search, proceeding from one LP to the next, is characterized by constant anguish and inevitable frustration. This situation is not at all unusual. After all, LPs are cranked out today with the machine-like rapidity so characteristic of our production line age. What, then, does the liner note author do? Obviously, he searches for new adjectives, new ways of interpreting music and its performers, new gags to enchant the record buyers. There are a variety of ways to accomplish these ends. The writer with a substantial background in jazz can, for example, say that he has "discovered" the talent presented on the LP. He can, in essence, tell his own life story. Another approach calls for writing an extensive treatise on a subject not necessarily related to the LP. This takes the form of discussing elementary geometry or the sartorial brilliance of Adolph Menjou. Another writer might compare the featured performer on the LP with another performer who plays the same instrument. This allows the liner note creator to state his own preferences rather discreetly. If he is not fond of the performer on the LP for which he is writing the notes, he can simply discuss another performer. This is a mild form of escapism, a kind of facing the monetary benefit without facing any of its accompanying annoyances. The liner note writer, then, is a kind of displaced person, unable to write at great length and equally unable to freely state his views with regularity. In this case, I'm not faced with any of these problems. Vito Price isn't famous. He isn't the world's finest saxophonist. He isn't suffering from the pangs of public disapproval. He isn't a newly-discovered figure out of the past. In other words, Price is hoping that the taste of some record buyers will coincide with his own. This kind of uncluttered approach is rather rare these days. For the amateur musicologists, here are some basic facts on Price. He's 28, New York-born, and has been playing the tenor and alto saxes since he was 14. 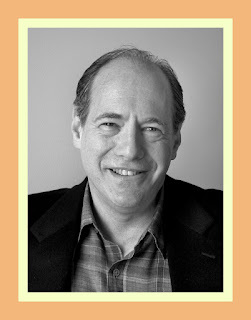 During his high school days he worked with jazz groups in the New York area. After high school, he served an apprenticeship on the road, with the bands of Bob Chester, Art Mooney, Tony Pastor, and with Chubby Jackson's small group. In 1951 he entered the marines and spent two years serving in a marine band. 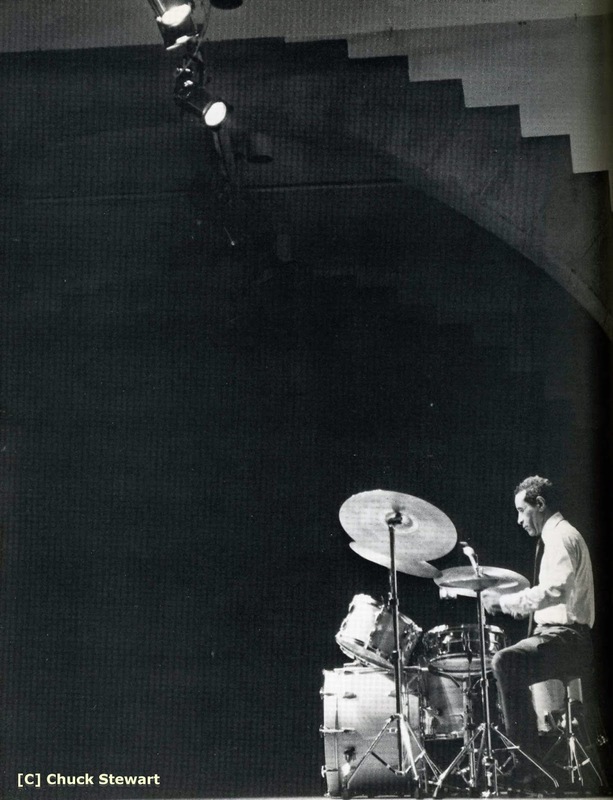 He enrolled at the Manhattan school of music in 1953 and stayed on for two years, supplementing his studies with work as leader of his own group and as a member of Jerry Wald's band. In the summer of 1955 he came to Chicago. 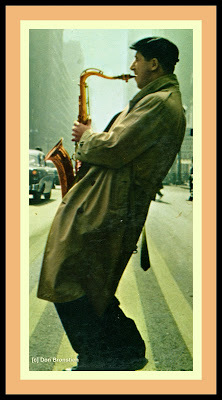 In February, 1956 he joined the staff orchestra at station WGN and has been a member of the orchestra there ever since. He participated in both Chubby Jackson sessions for Argo in recent months. When I solicited his thoughts on this LP, he stated them readily. "I had wanted to record so badly," he said. "I guess I never had been at the right place at the right time. This is my first opportunity. And I was given a clear road to do just what I wanted to do. "I'm not a far out musician. I'm not trying to blaze new paths. These sides are pure, clean, and honest. I just tried to swing. I play because I like to play. I dig it," he concluded. It is natural that a WGN staff man would look to his compatriots at the station for assistance on his first LP as a leader. Price did just that. Except for the rhythm sections utilized, all the members of the band on this LP work with Price at WGN. They're used to playing together, as Price noted to me. All the big band charts for this date were prepared by Bill McRea, another WGN staff man, making the existing compatibility that much greater. 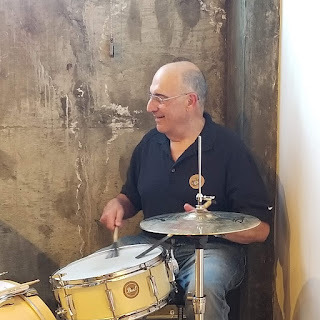 Joining the WGN corps are Remo Biondi, a fine Chicago gui­tarist; Marty Clausen, the excellent drummer with the Dan Belloc band, both present on the big band tracks. When Price was ready to cut this LP, he discovered that Ella Fitzgerald was working in Chicago. 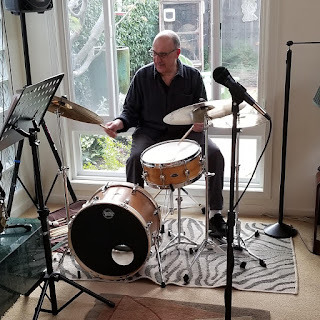 Astute enough to know a good rhythm section when he heard one, he persuaded Lou Levy, piano; Max Bennett, bass, and Gus Johnson, drums, to make the session. 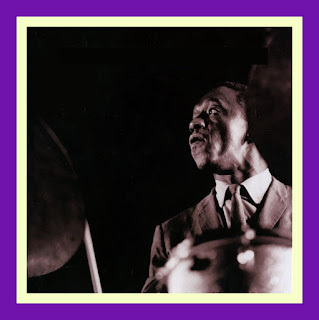 Johnson, due to illness, was able to participate in just the small group (Price-with-rhythm section) tracks, but the Levy-Bennett combination appears on all the tracks in this LP. Finally, the incomparable Freddie Green, guitarist and pivot man of the Count Basic band, joined in to make the small group tracks that much more of a delight. Essentially, this is Price's LP. On the five big band tracks he is the major soloist, with Levy the only other soloist. The same holds true for the five small group tracks. In addition to being featured on tenor (and alto on In A Mellow Tone), Price contributed three originals — Swinging the Loop, Duddy, Eye Strain (dedicated to Price's wife, who, in knitting a sweater for him, discovered that she needed glasses). This, then, is a set highlighted by the warm-toned horn of Vito Price. 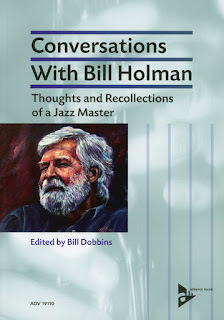 It features Price in big band and small group settings, on ballads and blues, up-tempo and medium tempo approaches. Mike LeDonne - "You'll See"